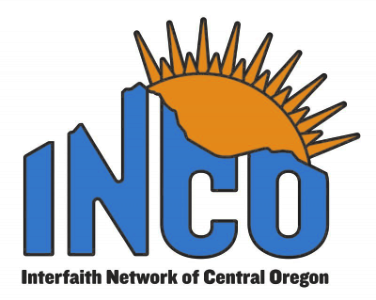 INCO’s Interfaith Thanksgiving Service: "Building Bridges to Unity"
INCO has held an interfaith Thanksgiving service on the 3rd Thursday in November. This year Jewish, Muslim, Buddhist, Christian and Bahai faith communities will each have 5 minutes to share how their faith is "Building Bridges to Unity". 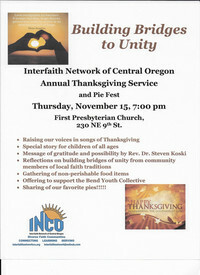 Special Music presented by First Presbyterian. The ever popular pie fest follows the service. ALL are warmly welcomed.